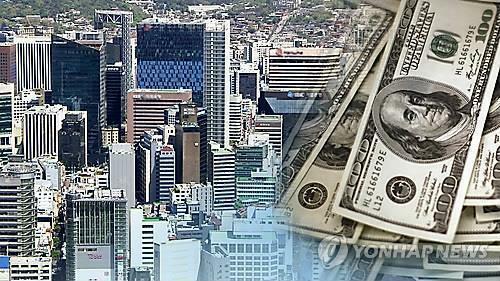 (SEJONG=Yonhap News) New foreign direct investment (FDI) pledged to South Korea in the first three quarters of the year reached an all-time high, in line with rising interest in the nation's high-tech industries and startups in emerging sectors, government data showed Thursday. The actual investment made by foreign companies over the period reached $11.70 billion, jumping 31.9 percent from the previous year, the ministry said. Investment pledges from the European Union jumped 63.1 percent to $5.13 billion in the first nine months of the year, mostly in the form of stake investments and merger and acquisitions. American companies sought partnerships and stake acquisitions in high-tech industries and tech startups, pledging $4.09 billion over the period, a 41 percent increase. New FDI pledged from China rose a whopping 292 percent to $2.39 billion, the largest-ever amount, led by brisk investment in the service industry. By sector, the manufacturing industry drew in $8.38 billion worth of investment pledges as offshore investors sought joint venture partners in the electronics, machinery equipment and bio sectors. Service industries attracted $10.64 billion of new investment from abroad in emerging technology fields, such as e-commerce, cloud computing, mobile platforms and fintech, the ministry said. The ministry said this year's FDI may top $20 billion, reaching a new record high. Last year, foreign direct investment in the country reached $22.9 billion.